Hollybeary Creations : Gum Holder Tutorial Finally! Well I wanted to have this up Monday but it didn't happen.. Life in the Boonies with satellite internet. It seems my Video camera won't work with the new OS X Mavericks system I upgraded too.. the hope of starting video tutorials again is on hold for a bit. So, I attempted to make one using photographs Ha Ha. These can be altered for any Occasions and I tweaked it a little so you can make an easier closure. I created a Valentine's one the other day. 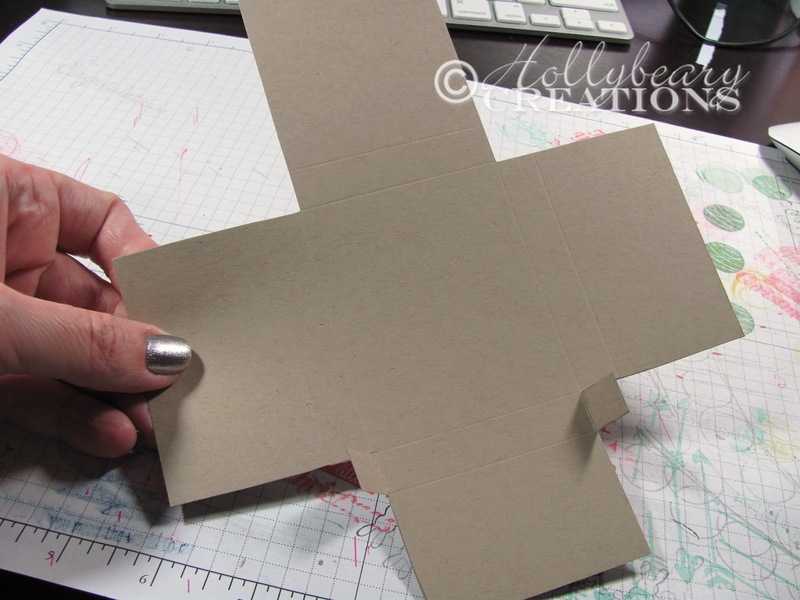 In the tutorial I will just give you the measurements to create the Box you can decorate it anyway you want. The front of the box measures 3 x 2 1/2 inches.. these fit the Wrigley's Extra Brand with the 15 Sticks in them. I'm not positive but I think there are a few other brands that measure the same as well. So to get this started you will want to print out this PDF file of the template if you need it.. It will show you where to cut and score. 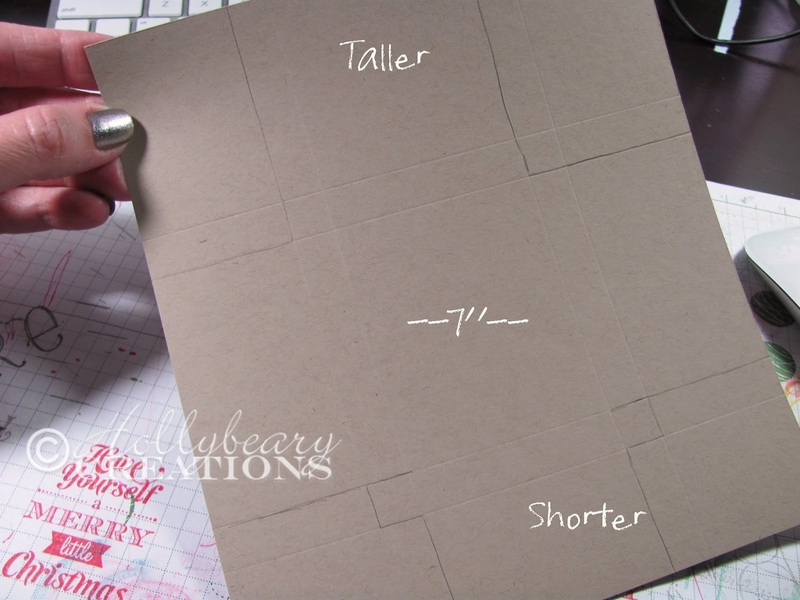 The template is measured at 8x7 the same size of your card stock for the project. Start out with a sheet of card stock cut to 8" x 7" and then using your scoring blade on your trimmer or scoring board etc.. You will score along the 8" side @ 1 1/2, 2, 5, 5 1/2" and then along the 7" side you will score @ 1 3/4, 2 1/4, 4 3/4 & 5 1/4". Using the PDF file you printed out or the picture below you will want to mark off where you are going to cut. Take note of where the tabs are going to be in the photo.. You will see them along the Shorter side. Cut out everything outside of where the red is in the PDF file or the pencil lines are in my photo. You will end up with a shape like this. Then you want to cut off the sides at an angle. 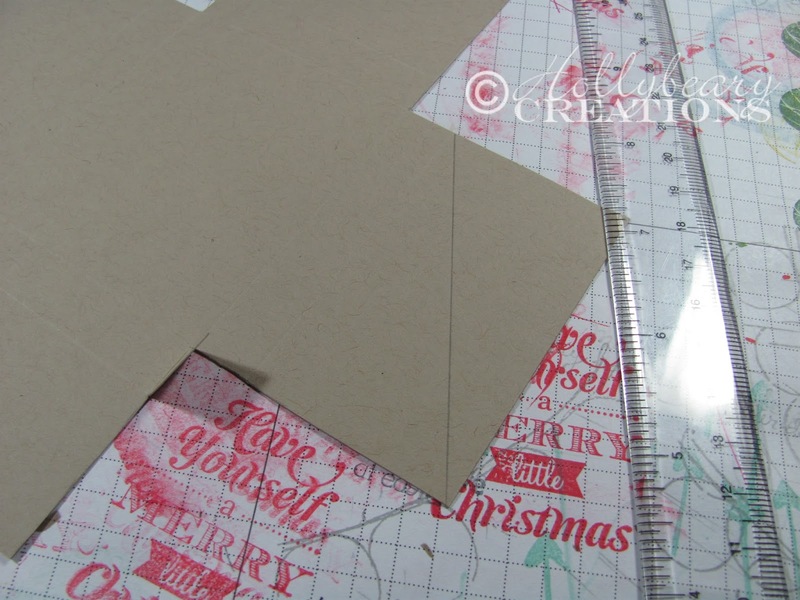 Using your paper trimmer to line it up or draw a line with a pencil where you will need to cut. 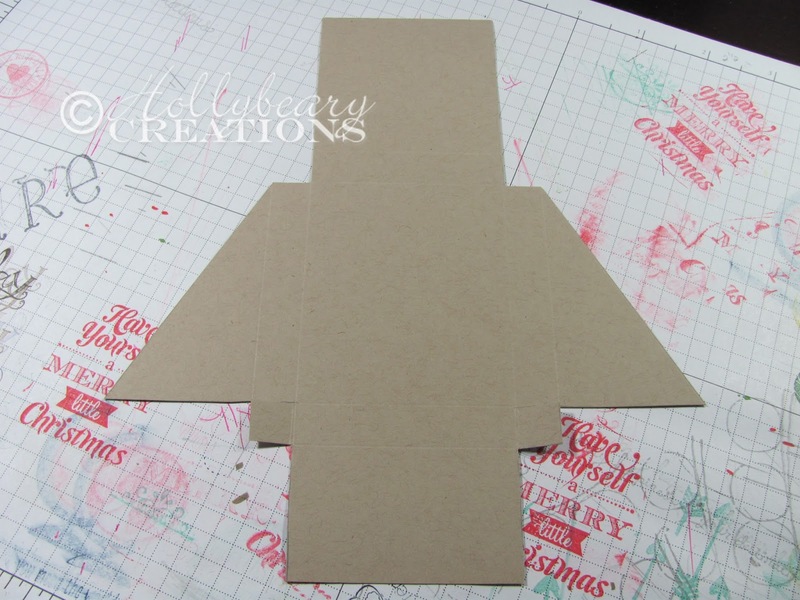 You'll want to flip your paper over and do it on the back of the opposite side so they are in the right place on both sides. This is what it will look like after you cut the flaps. Kind of like a Space Ship Ha Ha. You'll want to go ahead and fold on your score lines to give them a nice crease. If you want to add a flap to tuck the top in.. You want to find half a circle in your Craft stash, I used a Framelit. Or you can cut one with an xacto knife. You are going to put the framelit on the side you want facing in because it will leave an edge after you cut it. Tape down the framelit with some removable tape. Create your sandwich on the edge of your plates and platform. You don't want the entire framelit to cut just that circle area. Mine left a tiny embossed area but it didn't show on the other side so you want to cut on the part you will be folding in. 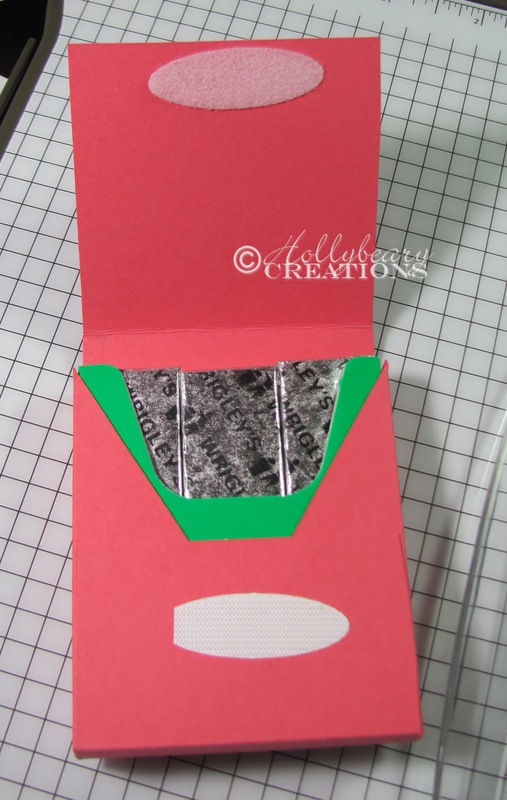 Then add your adhesive (Super Sticky) and start to assemble with your Gum pack. 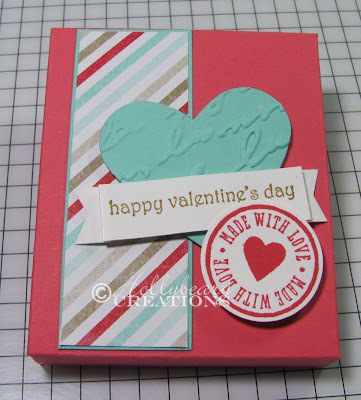 You'll want to fold the top flap back on the Gum and place it in the center of your card stock, add adhesive to the flaps and fold them in and finish assembling. Thanks for sharing this, Holly. I am gonna try one!